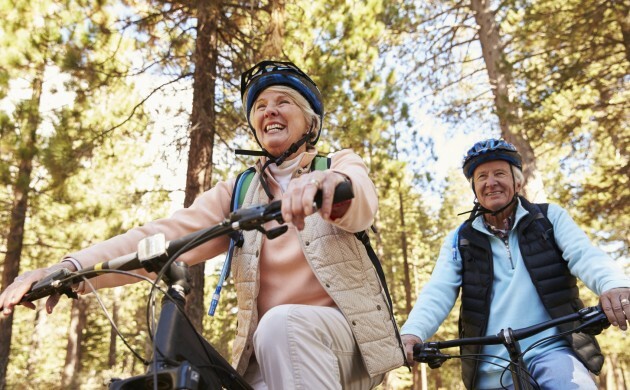 According to the latest figures from Eurostat, Danish men aged 65 can expect to have 11 years of good health after they retire, while Danish women can look forward to 12.8 ‘good’ years. In comparison, the EU average is 8.6 years of good health. “This is very positive news for Denmark,” said Henrik Brønnum-Hansen, a lecturer at the Department of Public Health at the University of Copenhagen. He notes, however, that people in Denmark or Spain may define ‘a good year of life’ differently. Steen Nielsen, a deputy director at Dansk Industri, the confederation of Danish industry, points out that Danes in general live healthier lives than they did previously. “There has been a tendency to view older employees as weak. But we should be careful about equating age with being in a poor physical condition – and these figures bear that out,” Nielsen said. Because of the increasing longevity and better health of the elderly, the Danish government has proposed raising the current retirement age in Denmark by six months – to 67.5 years for people born in 1958 or later – by 2025. Brønnum-Hansen warns that the general statistics of good health after retirement do not distinguish between highly-educated people and unskilled workers, who tend to start in the job market much earlier and often have to lift heavy objects, which may cause long-term damage. However, Nielsen argues that according to some surveys people’s jobs have very little impact on the state of their health over the long term, but that their lifestyle is much more important. “Although we are living longer, this does not mean that we are also able to work for longer,” said Rene Christensen, the financial spokesperson for Dansk Folkeparti, which opposes the government’s proposal for a higher retirement age. According to Christensen, the Danes currently receive their state pension for an average of 14 years. Danish employees are able to retire at the age of 65 if they were born before 1953. After that, the retirement age rises gradually.